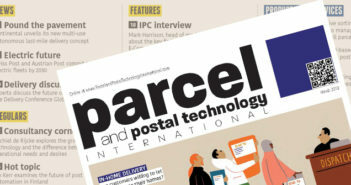 The postal logistics and delivery sector is a highly competitive marketplace. Each business in this space operates on very small margins, and the winners are those organizations which best understand their costs and drive their customers to sign up for longer term contracts at profitable levels. So why is this happening in so few organizations? The simple answer is that it is difficult. It is however achievable when organizations change from having very little interest in data, to being focused on the use of data to gain insight and drive the business forward. For example, once an organization knows how much a parcel costs to deliver, how much it costs to service a customer and how profitable a particular delivery route is, it is able to make incredibly precise decisions about what it wants to do. Having such a level of granular knowledge equips an organization to have an open dialogue with each customer regarding the amount of business that is being done and how much it’s actually costing, rather than having a transactional relationship purely based on revenue. It’s important to note that whilst a customer could be generating £100,000 (US$149,000) a month in revenue, it might actually be costing £103,000 (US$154,000) to move the parcels around because they are odd shapes, relatively heavy, or going to remote destinations like Northern Ireland or Scotland so they’re more expensive to deliver. Wouldn’t it be great to be have the opportunity to approach the customer with this level of knowledge and honestly say that “working with you is not proving to be profitable for us, however if we were to re-structure your business with us, by having a mix of products for example, then it’s a win-win scenario and we’ll create a business model that works for both of us.” Or to enter into discussions with prospects by asking detailed questions about the business so that the prospect can be profiled against an existing customer, providing an understanding of how profitable this new business is going to be. Then have the choice to then continue pursuing the sale on equal footings or to walk away and leave it? Now with the processing power of next generation analytics platforms, every organization, regardless of size, has the ability to break down the costs of the business every month to actual parcel level. These platforms have been designed not only to manage vast data quantities but also to compress that data into manageable – and affordable – volumes that provide a business with the insight it requires. Gaining an understanding of your cost base is crucial, and every organization has the insight at their fingertips, all within the data flowing through the business just waiting to be revealed. The answers to the cost/profit equation are there – it’s all about using data in a smarter way.